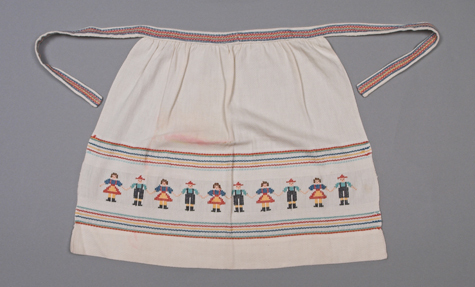 The design on this apron is woven in Dukagång, a finger-manipulated technique that is seen throughout the Scandinavian countries. The pattern threads lie on the surface of a plain-weave background and are tied down by every fourth warp thread. Designs are usually very stylized.